As the highest scorer of the batch, from the University of Petroleum and Energy Studies, Dehradun, Ms. Anjali Bisht holds specialization in Energy Laws. She pursued her post-graduation with an inclination towards research, Ms. Bisht had the opportunity to assist in various university projects such as “Techno-Legal Approach for Reduction of Carbon Emissions vis-a-vis Climate Change: An Intellectual Property Rights Perspective” and “Emerging Jurisprudence of Environmental Courts in the Era of International Trade and Commerce”. In an attempt to explore the dynamics of energy, corporate and environmental laws, Ms. Bisht worked on her dissertation titled “CSR and the Oil and Gas Sector of India: An Analysis of Environmental Sustainability”. Ms. Bisht also had a chance to explore the international law and human rights dimensions of environmental law in her research paper “Statelessness and Climate Migration viz-a-viz Climate Change: An Upcoming Global Crisis” which bagged her the best paper title at Amity School of Law- International Conference on Legal Dimensions of Environment (2017). She also has a co-authored a paper titled “Medical Value Tourism: An Analysis of the Sector” published in the VIIth Volume of the CNLU Law Journal. 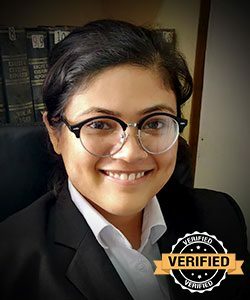 Besides, her expertise in Energy and Environment laws, Ms. Bisht is an Advocate in Chandigarh and has a good experience of taking up matters concerning Divorce Law, Land Laws, Criminal Law & Corporate Law.